Fletcher Henderson was very important to early jazz as leader of the first great jazz big band, as an arranger and composer in the 1930s, and as a masterful talent scout. Between 1923-1939, quite an all-star cast of top young black jazz musicians passed through his orchestra, including trumpeters Louis Armstrong, Joe Smith, Tommy Ladnier, Rex Stewart, Bobby Stark, Cootie Williams, Red Allen, and Roy Eldridge; trombonists Charlie Green, Benny Morton, Jimmy Harrison, Sandy Williams, J.C. Higginbottham, and Dickie Wells; clarinetist Buster Bailey; tenors Coleman Hawkins (1924-1934), Ben Webster, Lester Young (whose brief stint was not recorded), and Chu Berry; altoists Benny Carter, Russell Procope, and Hilton Jefferson; bassists John Kirby and Israel Crosby; drummers Kaiser Marshall, Walter Johnson, and Sid Catlett; guest pianist Fats Waller; and such arrangers as Don Redman, Benny Carter, Edgar Sampson, and Fletcher's younger brother Horace Henderson. And yet, at the height of the swing era, Henderson's band was little-known. Fletcher Henderson had a degree in chemistry and mathematics, but when he came to New York in 1920 with hopes of becoming a chemist, the only job he could find (due to the racism of the times) was as a song demonstrator with the Pace-Handy music company. Harry Pace soon founded the Black Swan label, and Henderson, a versatile but fairly basic pianist, became an important contributor behind the scenes, organizing bands and backing blues vocalists. Although he started recording as a leader in 1921, it was not until January 1924 that he put together his first permanent big band. Using Don Redman's innovative arrangements, he was soon at the top of his field. His early recordings (Henderson made many records during 1923-1924) tend to be both futuristic and awkward, with strong musicianship but staccato phrasing. However, after Louis Armstrong joined up in late 1924 and Don Redman started contributing more swinging arrangements, the Fletcher Henderson Orchestra had no close competitors artistically until the rise of Duke Ellington in 1927. By then, Henderson's band (after a period at the Club Alabam) was playing regularly at the Roseland Ballroom but, due to the bandleader being a very indifferent businessman, the all-star outfit recorded relatively little during its peak (1927-1930). With the departure of Redman in 1927, and the end of interim periods when Benny Carter and Horace Henderson wrote the bulk of the arrangements, Fletcher himself developed into a top arranger by the early '30s. However, the Depression took its toll on the band, and the increased competition from other orchestras (along with some bad business decisions and the loss of Coleman Hawkins) resulted in Henderson breaking up the big band in early 1935. 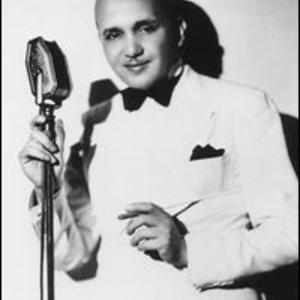 Starting in 1934, he began contributing versions of his better arrangements to Benny Goodman's new orchestra (including "King Porter Stomp," "Sometimes I'm Happy," and "Down South Camp Meeting"), and ironically Goodman's recordings were huge hits at a time when Fletcher Henderson's name was not known to the general public. In 1936, he put together a new orchestra and immediately had a hit in "Christopher Columbus," but after three years he had to disband again in 1939. Henderson worked as a staff arranger for Goodman and even played in B.G. 's Sextet for a few months (although his skills on the piano never did develop much). He struggled through the 1940s, leading occasional bands (including one in the mid-'40s that utilized some arrangements by the young Sun Ra). In 1950, Henderson had a fine sextet with Lucky Thompson, but later that year collapsed on the street aparently from a stroke. The incapacitation ended his career and led to his death in 1952. Virtually all of Fletcher Henderson's recordings as a leader (and many are quite exciting) are currently available on the Classics label and in more piecemeal fashion domestically.